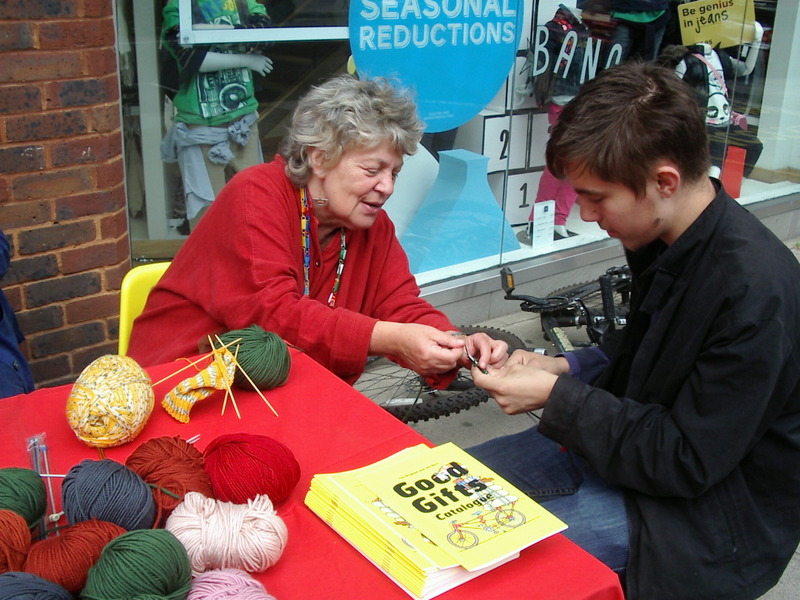 You are here: Home / Blog / Reclaiming the streets – Knitting for Peace on Hampstead High Street! 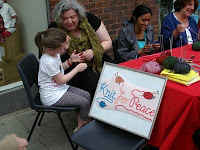 We decided to reclaim the streets by Knitting for Peace on Hampstead High Street! Yesterday, we tweeted to our followers that we would be setting up a table and chairs outside in response to the London riots by giving a show of solidarity and peace by knitting items for charity with whoever wanted to join us! It was a great success with people from the local area of all different ages and abilities joining us to knit or even just to have a chat.